BacktoFrankBlack.com is now back online! Sorry for the downtime! 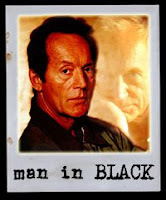 Just a reminder that if you haven't already, please read the first part of our interview with Lance Henriksen. Read the interview in English! ¡Lee la entrevista en español aquí! Lisez l'interview en français ici! Part two has been sent back to Lance for his approval, so as soon as we're able, we'll be posting part two. Look out for some news of more cast and crew interviews coming soon! More information on letter writing can be found here. 1 Response to "Back to BacktoFrankBlack.com!" Wrote a quick blurb on my blog and am so excited to the progress this campaign is making! Thanks for the link on yours to mine. Let me know if there is anything I can do...This is Who We Are! Teletronic support Back To Frank Black!